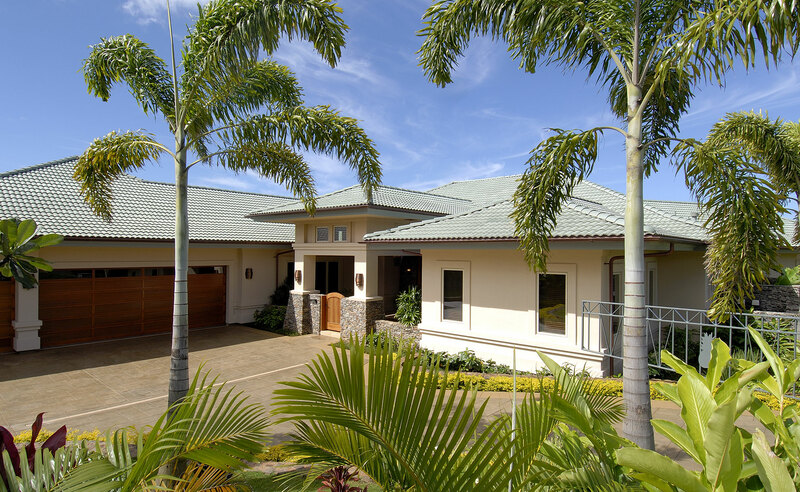 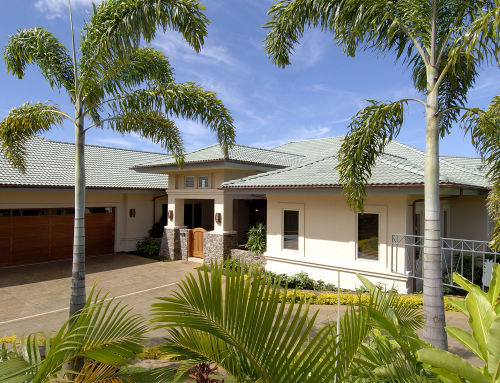 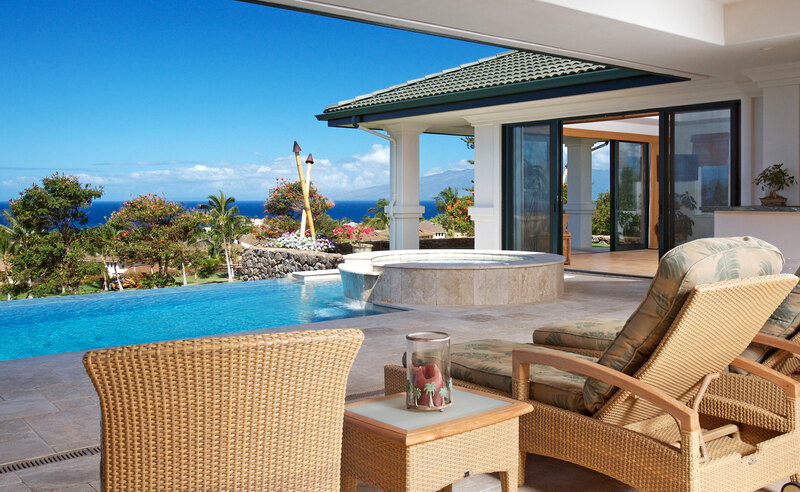 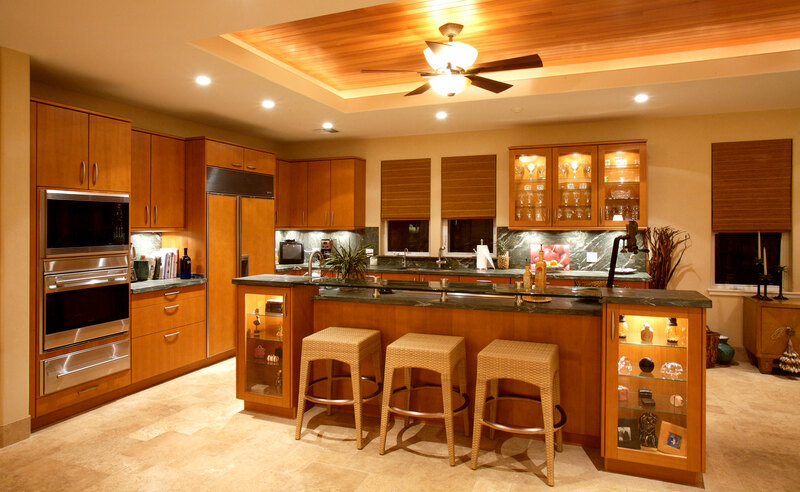 Residence at the Pinnacle, Ka’anapali Golf Estates – The large great room and dining / kitchen area highlight this 3,400 sq. 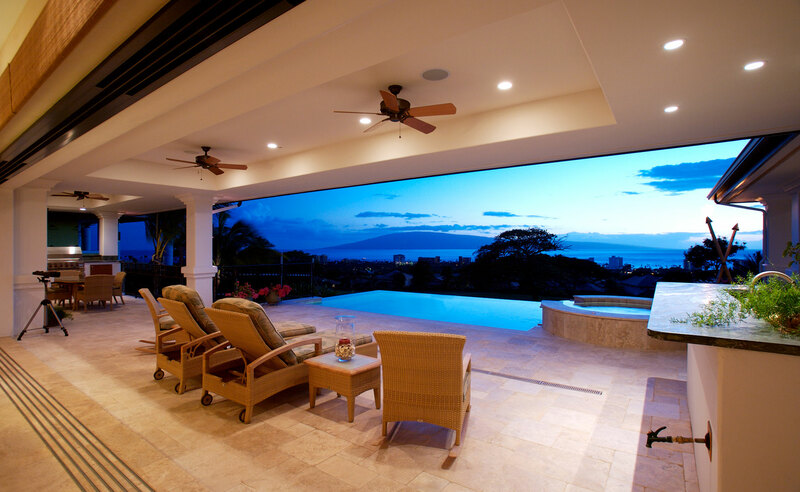 ft. split level home. 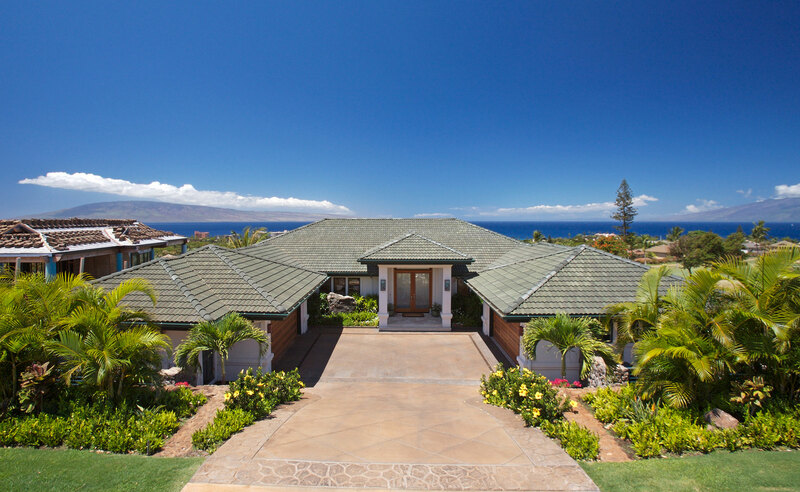 With the main thoroughfare passing along the main spaces into the extensive covered lanai area and pool deck. 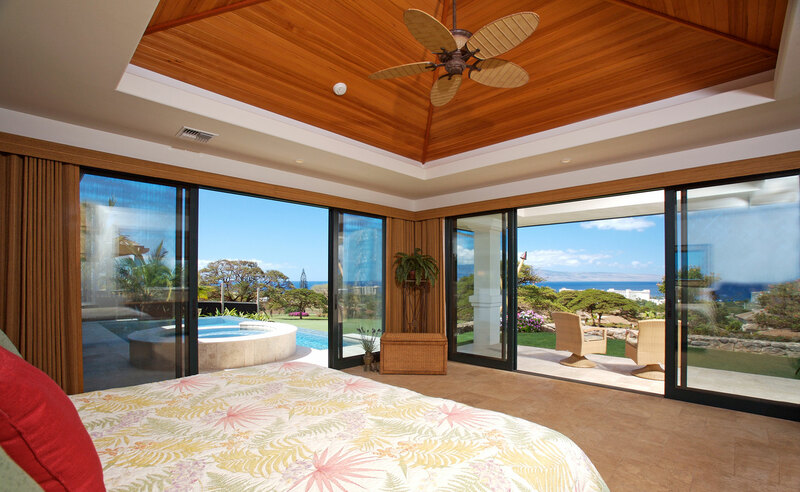 Multi-slide pocket doors help to make the connection as seamless as possible. 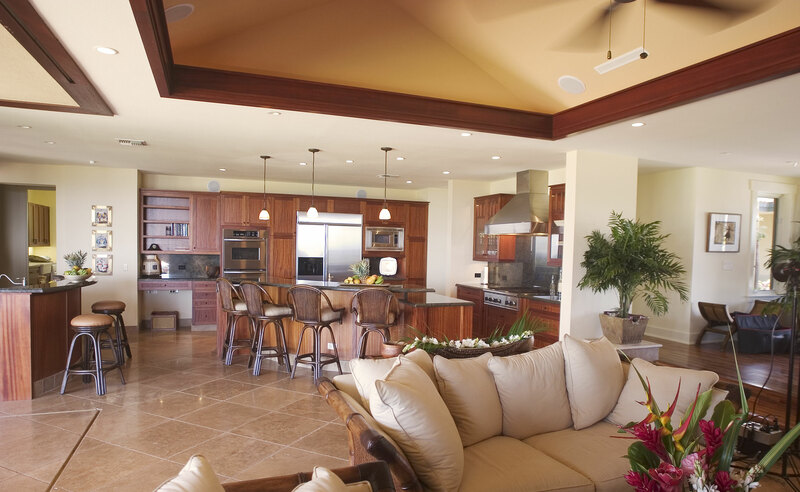 A media room, adjacent to the great room space, allows for separate television viewing with a visual connection to the main space. 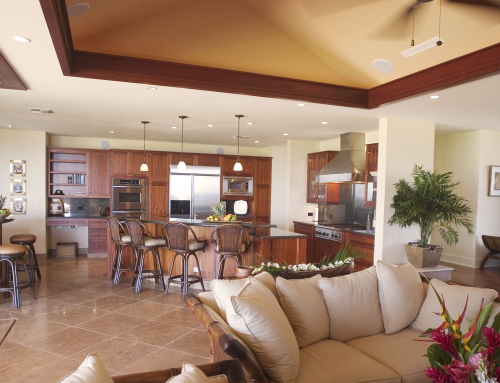 Clean and simple forms, along with gracious ceiling heights help to create a feeling of spaciousness within the main living spaces.